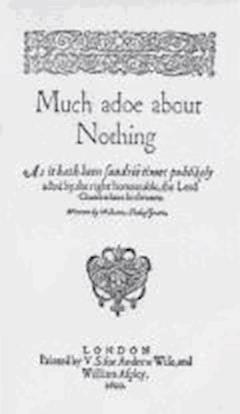 Much Ado About Nothing is a comedy by William Shakespeare. First published in 1600, it is likely to have been first performed in the autumn or winter of 1598-1599, and it remains one of Shakespeare's most enduring and exhilarating plays on stage. Stylistically, it shares numerous characteristics with modern romantic comedies including the two pairs of lovers, in this case the romantic leads, Claudio and Hero, and their comic counterparts, Benedick and Beatrice.